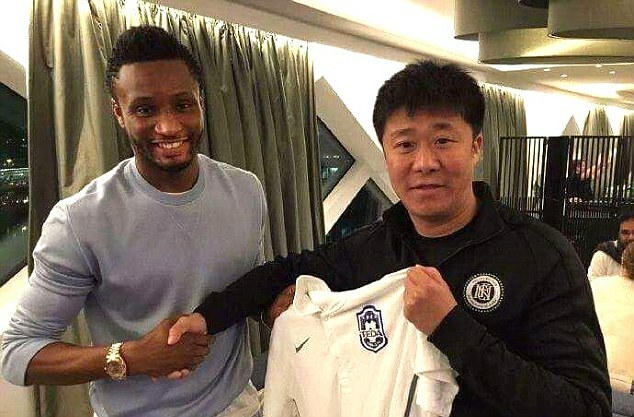 Super Eagles captain, John Mikel Obi has become the latest ex- Premier League star to make a big-money move to Chinese Super League after completing his medicals with Tianjin TEDA yesterday. The midfielder, who had been frozen out of first-team football by coach Antonio Conte this season, will reportedly earn £140,000 a week. Grace Jones slams Kim Kardashian,calls her a 'basic commercial product"
Ladies Please Don’t Ever Sit Like This Without P*nties!